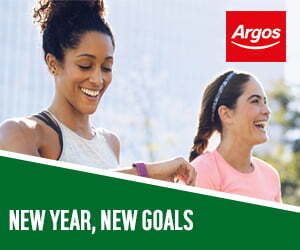 Forget the Gym - Hit Your Goals From Home! Whatever the reason, the going to the gym lifestyle just isn’t working for you. So instead of making a big sweeping pledge to go to the gym three times a week, here’s an idea- make it come to you. 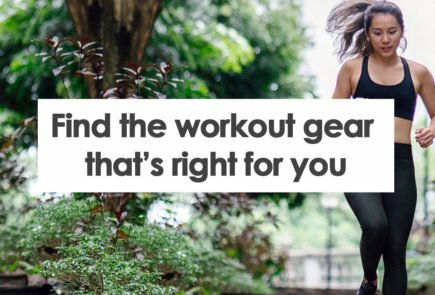 We’ve put together a list featuring a few of our favourite “at-home” workout essentials, meaning you can get all the benefits of exercise from the comfort of your living room. A must have for any at-home gym user. Versatile and compact, a dumbbell set can provide the backbone to any good home workout. Allowing for a range of different exercises, you’ll be getting a sweat on in no time and really begin to tone up that upper body. Dumbbell set prices can vary quite widely depending on the size and weight of the set you’re after. 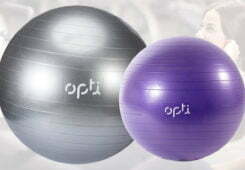 A great starter set is the Opti Dumbbell Tree Set. The set gives you 2 x 1.1kg, 2 x 2.3kg and 2 x 4.5kg allowing you to switch up your workouts, and the vinyl material makes the dumbbell’s comfortable to use. Perfect for beginners and those looking to save space, these compact and high quality dumbbells are fantastic value for money. 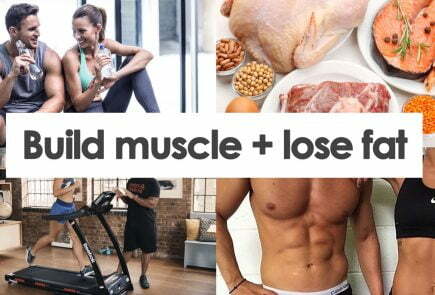 If you’re feeling strong and really want to start adding some muscle, then you’ll need to step up a weight class. The Opti Cast Iron Dumbbell Set – 20kg ticks all the boxes. The set includes 4 x 0.5kg, 4 x 1.25kg and 4 x 2.5kg discs with a spinlock system allowing for quick weight changes depending on your preference. The rubber handgrips allow for comfortable use and overall the cast iron set is a high quality piece of equipment- fulfilling all your home workout muscle-building needs, without breaking the bank. One of the most overlooked pieces of gym equipment, but also one of the most essential is the exercise mat. If you’ve ever tried to stretch out on a wooden floor or even thin carpet you’ll know just how uncomfortable it can be. Save your back the pain and invest in a good quality exercise mat. One of the best on the market is the Men’s Health Exercise Mat. Providing a large and comfortable workout surface, this mat is ideal for yoga, stretching and those abdominal crunches we all promise ourselves to try and fit in our workout routines. It is resistant to water and sweat, meaning it’s easy to clean no matter how much of a sweat you put on, plus it folds up for easy storage. Now all you have to do is try not to fall asleep when you lie down! The benefits of cardio reach far and wide, from reducing stress, lowering blood pressure and of course, help that waistline stay in check. It is therefore essential to incorporate cardio into your workouts, however when it’s bitterly cold and the rain hammers against the window, the thought of dragging yourself outside to run down dark streets is far from appealing. 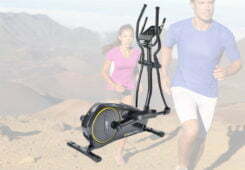 Let’s have a look at a couple of solutions to the cardio conundrum. Now before you start seeing pound signs mount up in front of eyes, buying a good quality and durable piece of equipment doesn’t have to cost the earth. 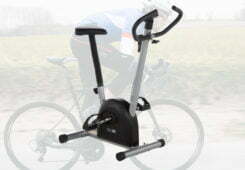 The Roger Black Folding Magnetic Exercise Bike is a great example of this. 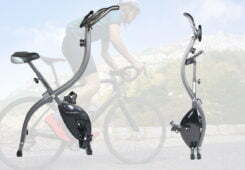 The bike is excellent value for money and is ideal for those who want to exercise at home but don’t have space for a bulky machine. 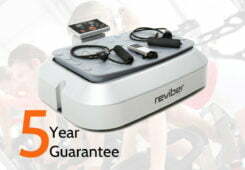 It comes with 8 different tension levels, allowing you to change up your workouts, and the console feedback keeps track of your time, distance, speed and calories. It folds for easy storage and most importantly (for others in the house and your neighbours) it is quiet to use. 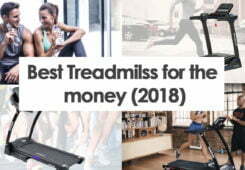 Now if cycling isn’t your thing, then a treadmill might be for you. 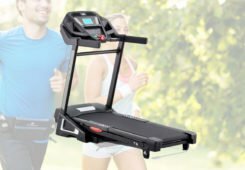 The Reebok One GT40S Treadmill is an excellent choice for beginners and offers users maximum comfort with the integrated ONE Series cushioning. 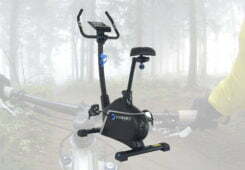 It has a maximum speed of 16kph and 12 levels of incline allowing for varied workouts. The sleek and stylish design is a big plus, allowing you to achieve your running goals when it suits you. What to do if you are really strapped for time but still want to try and keep in shape? Use the Slendertone Abs3 Unisex Ab Toning Belt. This belt uses Electronic Muscle Stimulation technology to really work your abdominals deep into their core. The patented 3-pad design fits around your waste and the 99 intensity levels ensure you can make your own training programme. 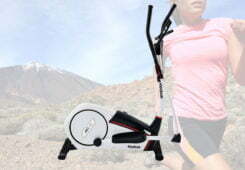 No longer do you have to feel guilty about missing out on exercise in order to stay on top of all the housework. Now you can get in a quick and easy abdominal workout whilst you wash the dishes or do the ironing. One of the most important things is not just starting to live a healthier and more active lifestyle, but keeping it going. A great way to do this is tracking your progress. Taking pictures is a great start, but if you’re like me and want a bit more of an in-depth look into what you’re achieving, then you’ll want to invest in a fitness tracker. The Fitbit Charge 3 Fitness Tracker is one of the best you can buy. With it’s polished design and huge 168-hour battery life; you’ll be able to keep track of your steps, distance, calories, heart rate and sleep. It is also water resistant up to 50 metres, so there is no need to take it off when you hop in the shower. It can also connect to your smartphone’s GPS for real-time data and even receive calls, texts and notifications. Simply slide it on your wrist with one of the two different sized bands and bingo, you’ll be able to keep track of everything you do and achieve maximum workout motivation. 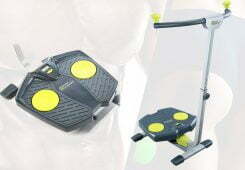 If your fitness goal is simply to lose or even gain a few pounds, then a weighing scale is a must-have. I recommend using an electronic scale, as this makes it far easier to read and keep a more accurate tracking of your weight in comparison to the mechanical style of scales. 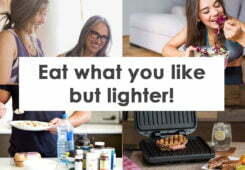 The Weight Watchers Precision Glass Electronic Scale is cost-effective and easy-to-use. It’s slim design means it should easily fit into any bathroom and the high maximum weight capacity means it is suitable for a variety of users. 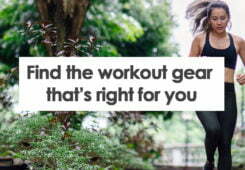 Staying fit and active doesn’t have to be an inconvenience. 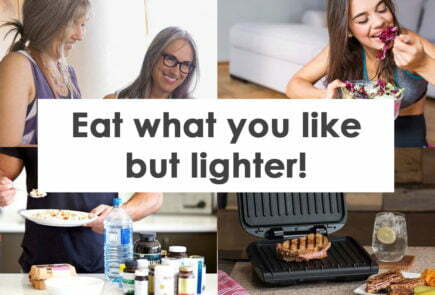 There’s something out there for everyone and the key thing is finding what works for you. Going to the gym shouldn’t be a chore, so make the most of your home-workouts and make 2019 the year that you achieve your fitness goals!